UPDATE: The internship positions for Spring 2018 have been filled. However, we are always accepting applications and inquiries for qualified and interested candidates. Contact ¯\_(ツ)_/¯ - thank you and good luck in your search! We are looking for a self-starter, superstar and eager blockchain beaver who wants to run down the rabbit hole of blockchain tech and cryptocurrency, learning invaluable knowledge and getting hands on experience in the process. We can’t guarantee, but this position could turn into something bigger if the candidate creates value and knocks projects out of the park. We could use a motivated and enthusiastic uni student or young professional to help with a variety of tasks including blog writing, social media posts and scheduling, marketing campaigns, contacting influencers in the space and helping with content strategy, marketing, PR, Google/data analytics and related projects. The intern will work under the Co-Founder and alongside the PR/Marketing directors to help build the community, brand and exciting upcoming projects. i.e. What are they and what do they do? At this point we are primarily looking for someone who needs uni credit and may be on scholarship and therefore cannot accept funds. However, for the right candidate we may be able to allocate a small salary to be discussed after a successful interview. 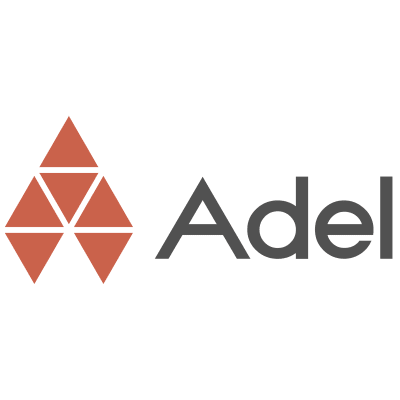 Adel is a blockchain startup incubator - the first of its kind - and ran the first KYC/AML/CTF ICO, raising over two million Euros. It is a global cryptocurrency community that is self-sustaining, and offers its own economic ecosystem with the Adelphoi (ADL) coin. Our community focuses on creating, developing, and implementing use cases involving blockchain technology that covers a wide range of digital and physical industries. Projects are chosen by the community and successful ventures are either re-invested in for further growth, or issued as rewards to Adel stakeholders.Our goal is to sustain and increase the value of our ADL coin through profit participation and management of these businesses. Adel projects will create opportunities for investment, innovation and employment. Our team leaders are mandated to sustain the Adelphoi value through successful projects that benefit all stakeholders in the community. We have an AdelWiki™ collaboration module where members can submit ideas, vote on projects and have first access to employment in those startups. Through our streamlined process, we can then expedite document creation, provide expert guidance through our board and partners, launch an ICO or fund the startup from the ecosystem, and then members and stakeholders share in the business success. The current climate of blockchain startups, is like the “wild west” and traditional financial companies are still hesitant to invest due to market volatility. The Adel Ecosystem, through its substantiated legal framework and diversification of blockchains (each project can be on a different blockchain depending on its goals and required features), will bring greater stability in the space, protecting not only the investors and Adel brand, but “blockchain” as an overall brand. It is the best vetting ground for new ideas in the space. In addition to the stability that such an ecosystem offers, the knowledge gained through each project on this new frontier will be valuable for all future startup. The framework will be iterative and easily replicated to build solid blockchain businesses quickly and efficiently. Members will become business planning experts, and the collaboration engine will streamline, as it evolves. Furthermore, the 10,000 meter view will allow us to combine ideas that alone may not be strong enough to incubate. Or features from other projects can be added to future ideas to make them stronger. The other interesting aspect of Adel is how it disrupts current shareholder models. Members in the ecosystem have direct access to the highly transparent process as it unfolds. They have a unique communication channel with the board and executives. In what business can you invest now where the CEO will answer questions from the community and post it on Vimeo for all to see? In the unfolding area of Glassbox business - this is truly glass box.